IFRFR has been changed to International Fellowship of Wellness and Fitness of Rotarians. The Fellowship of Fitness Rotarians was initially formed in the mid-1980s by first international chairman Don Fraser of the St. Helena Rotary club in California, President of the American Running & Fitness Association. After three years the fellowship disbanded but was then reorganized 5 years later after approval by 30 District Governor’s from different parts of the world with initial membership from 14 different districts by Rotarian Harold Friend, MD, (International Chair for 8 of the years between 1992 and 2006 & District Governor 1998-9) under the new name of International Fellowship of Running and Fitness Rotarians. This occurred just before the 1992 Orlando Rotary convention and the first of many �fun runs� occurred each day at that convention starting in front of the convention hall each morning. Also, in that year PRIP Cliff Dochterman held a �Salute to the Fellowships� in Cambridge, MA. During that meeting over 30 Rotarians assembled to run in the snow each morning creating friendships that lasted for years. Since then the fellowship has steadily grown with members coming from 38 different countries. The largest numbers are from the United States, Japan and India. Over the years IFRFR sponsored over 300 road races from 3 km up to full 42K marathons, the largest of which was in 2005 at the Rotary convention. In addition, IFRFR organized fun runs each morning at 15 of the Rotary conventions from 1992-2006. The most beautiful of which was running along the Mediterranean Sea in the early morning during the Nice France convention in 1995. These were closely followed by morning runs along a river in Calgary 1996 and, at the Glasgow Scotland convention in 1997, running at the break of dawn in a beautiful park near the convention site. During the years there were a number of wonderful projects that individual members organized. Under the direction of Rajan Vir (Vice-Chair 1997-2000) an exercise area was built in a park in Pune, India. 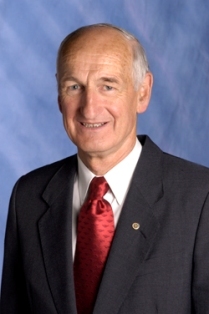 Peter Gray (1998-9 Chair) organized a group of Rotarians to run the London Marathon with a talk by Sir Roger Banister. Jean-Emile Vanderheyden (Vice-Chair 1996-8) organized a 20 Km run for Parkinson�s Disease in Charleroi, Belgium. Toshi Ihara (1999-2000 Chair & Vice-Chair for 9 years) helped organize the Mt. Misen international walk that has now been held for over 10 years walking up that sacred mountain in Japan. In 2006 our first woman Chair, Suzan Rada, returned the leadership to the St. Helen�s club in California. Fitness – the word that has every head turning today was never given much importance earlier. There were very few people who paid attention to their fitness. This is because, earlier people used to be physically more active than what people are today. One had to walk or cycle his way to meet a neighbor or to get some items at the store. But today, technology has improved to such an extent that people who stay within the same house use their mobile phones and online Applications to communicate with one another. With such increased use of technology, one has become physically less active. A sedentary lifestyle is what you can see today. As a result, people end up spending a good part of their monthly paycheck on gyms and fitness classes, to ensure they are fit and healthy. A fellowship for those who are keen on their fitness and are ready to try new routines to improve their fitness quotient is nothing short of fun. The members are seen to be relaxed and open to new ideas and techniques. Here you can see businessmen competing with one another in physical exercises rather than the share price of their company’s stocks. This is a competition with a different perspective. No matter how frequently one uses Goji Cream, to get rid of their wrinkles or keep their skin young, when they are physically fit and healthy, it shows on their skin. The skin is healthy, supple and young looking for a long time. People who are physically active tend to look younger than their age. 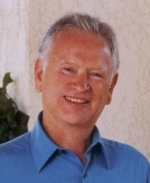 “Our Foundation Newsletter” was created 1 March 2001 by RGHF (Rotary Global History) Founding Member, Past Rotary Foundation Coordinator, and RGHF director emeritus PDG Dr. Eddie Blender and is now edited by Past RGHF chair Calum Thomson, Scotland. It is not just newsletters, but many rules and regulations get changed over time too. This is done to suit the current needs and also to ensure the concept evolves over time and is in tandem with the current scenario. If you take investments for that matter, what used to be a small scale operation has now blown over and is a full pledged international operation. One can invest in stocks and precious metals, from any part of the world. And with technology improving, the trading has all gone online for one and all to use, right from the comforts of their own homes. They need not travel to a common place where the stocks are bought and sold, need not shout and get what they want. People can pick up binary options and other stock options, with the touch of a button today. To top it all, we have the automated softwares like HBSwiss, where one need not do much and the App will take care of it all. All the analyses is done by the computer and the investment moves are done for you based on these analyses and calculations. Being developed by an experienced trader, this software takes into account everything a trader would, before making an investment. Binary options, also known as exotic options are available to invest in and sell within a fixed time period as they have an expiry date. The most common among these options are the high low option, also known as the fixed return option. The expiry time is also called a strike price and this is the price that determines the outcome of a trader’s investment. If the trader’s judgment is correct and when the option expires, if his quote is on the right side of the option, he is paid in full. The instrument may have moved only a little but if it had gone up as anticipated by the trader, even if it does not match the amount quoted by the trader, he gains. On the other hand, if the instrument had moved in the other direction, even if only a little, the trader loses it all. Hence the risk is high and the returns are also equally high. Trading in binary options will require one to have a sound knowledge about the market; else they can take help from the various softwares available in the market. When the market it expected to rise, the trader purchases a call option and when the market is expected to go down, the trader will purchase a put option. When the option expires, the movement of the option is analyzed to see if it has indeed gone up or down. And then the trader is settled, based on his call or put option. When the binary option is outside the US, it is mostly the current price that is taken as the strike price. When these options are offered, all details are disclosed to the traders. The details include the payout, strike price, expiry, and risks involved. These details are crucial for a trader to decide on his call or put option. In the recent past, we all have experienced a great surge of stress in our lives. Most people are almost always overloaded with tension and work pressure. People may be involved in spending long hours standing or sitting in one place or traveling long distances to get to work or complete other chores. All of this results in poor or deteriorated health. It is not uncommon for men and women to have a headache or be extremely tired at the end of every day. Yet another common condition seen amongst stressed people are varices. These are painfully engorged veins that are even visible to the naked eye. It is also a symptom of the condition varicose veins. This problem has been increasing many folds since quite some time. Statistics prove that as many as one in every three women and one in five men who are older than the age of 45 years have shown effects of engorging veins in their lower limbs. This condition is not just painful but aesthetically unpleasant as well. Many women become conscious of their varicose veins which affects their confidence as well. When you consider options to deal with them, it is obvious that people hesitate to visit a doctor or a pharmacy for fear of many medicines, expenses or interventional procedures. People are always in search of products that are natural, easy to use and pocket friendly as well. Varikosette is exactly that and much more. It is the perfect solution for varicose veins. It has been made using all natural ingredients and is free of any artificial coloring agents, perfumes, oils, dyes, synthetics, paraben or chemicals. The product has undergone all the required tests that are needed to ensure it is safe for human use. And it has been declared as a safe to use the product. This product is an amazing gift for all those struggling with varicose veins, the ideal duration for use for this product is about 2 weeks. However, it can also be used as a preventive measure in case of pain in lower limbs with engorged blood vessels. Troxerutine: It is known to remove sensations of fatigue and weakness from the body. It also re-energizes the blood vessels and improves the flow of blood in them. Caffeine, honey, Ginkgo Balboa: It stimulates the blood vessels to improve the flow of blood. It also helps in the regeneration of cells and tissues of the body. Chestnut and Birch leaves: It helps to add strength to the blood vessels that invariably improves blood flow. It also improves the tone of blood vessels making them elastic and more flexible. Essential oils, lemon, soy and coconut oils: It helps to curb excessive sweating of feet and leaves the skin feeling fresh and clean with a pleasant smell. It also has a soothing effect on the skin. Artemisia, chamomile, menthol, and nettle: It is a powerful antiseptic that helps to improve the skin of the legs. And improves the overall health of legs. Its use is very simple, as it is available in cream form. It must be lightly rubbed on the affected areas of the leg. It must be used for 2 weeks or can also be used as a preventive measure. Ordering Varikosette is very simple as it is available online at some unbelievable discounted price. The Rotary Club from all over the world has always attempted to improve relationships and enhance the quality of life. For this, they have explored many avenues right from helping the down trodden, differently abled people or even improve the quality of life for the general public. Within the general public, the women especially have been paid additional attention. Women have been encouraged to manage the financial portfolio of the house and take up other such empowering responsibilities. However, empowerment is synonymous with confidence. And confidence is achieved when a woman thinks she is perfect aesthetically as well. And to enhance the aesthetic appearance, women feel the need to have lustrous healthy and strong hair. Sadly, long healthy hair that bounce with volume is hardly a fact for most women. As maximum women face hair fall, dull, brittle hair that lacks volume and strength. It usually is the result of lack of time for self-grooming paired along with increased stress levels. There is always pressure to perform and pressure to achieve goals which tend to put personal care in the backseat. And even if you choose to take care, there are numerous products in the market that make big promises, and most of the products fail to keep them. While some of the products are exorbitant. So what does a person do, when looking out for an easily available, easy to use and cost effective option? Hair MegaSpray comes to your rescue. This product is made of natural ingredients that give your hair that ‘Vitamin bomb’ it very much needs. Its natural ingredients include Vitamin A and Vitamin E, these are useful in protecting the hair from harmful effects of exposure to sun and air, also plays a significant role in reducing hair fall. It also helps in improving the strength of hair. Coconut and avocado oil in Hair MegaSpray helps to combat the negative effects of hair coloring and also supports the Vitamins. Chamomile extracts and boilers help in making the hair naturally stronger and softer to touch. The Argan oil is a naturally available anti-oxidant that helps to make the hair look shiny and soft. The cinnamon oil helps to provide a soothing effect to the scalp and the brittle oil helps to smoothen out unruly hair. But to get the maximum advantage of this product, one must also take care of other factors that aid improved hair growth. The first and most important factor is to include a healthy and balanced diet. It is often the lack of nutrients that is the root cause of hair loss. Taking regular multi vitamins and a good diet will improve the results. The next factor that plays an important role is stress. No matter what products you use, if you have a high stress lifestyle your hair are going to take a hit. Try and reduce the amount of stress or look out for options to cope with it. Using an inappropriate comb often ends up breaking hair and leaving them brittle. Investing in a good comb that is suitable for your hair is important. Using Hair MegaSpray is extremely easy. All you have to do is spray it across your hair and then massage your scalp with it. Then using a warm towel, you must cover your hair which will improve the effects of the products. Continue this for about an hour after which you can wash your hair as usual. Acquiring the product is very easy, as it is available online. There are also some great offers and discounts going on the product. Early Clubs in Ohio: Rotary arrived in Ohio when Robert Wilson of Cincinnati invited Brad Bullock, President of the New York City Club and a Vice President of The National Association of Rotary Clubs, to come and assist in establishing Rotary in Cincinnati. As a result of their efforts, the Rotary Club of Cincinnati received charter number 17 and was admitted into Rotary on 26 November 1910. By 1915, Rotary had grown to 160 clubs and 20,000 members. This growth brought on the establishment of districts to facilitate the administration of this expanding organization. Ohio, West Virginia and lower Michigan became known as the 7th District. Each district�s presiding officer was called an International Trustee and later, this title was changed to District Governor. When the number increases, the process gets streamlined and terminologies change. Everything evolves and adapts to the current trends. If you are an investor, you would be aware of how technology has replaced the need for traders. Earlier people had to choose the right trader or trading company to invest their money with. But today they need to choose between HBSwiss and other such softwares which helps in investments. District 7 On 1 September 1915, District 7 was created. It was comprised of the entire state of Ohio, West Virginia, and Michigan (Lower Peninsula). District 21 On 1 July 1922, Districts 21 and 22 were created in the state of Ohio. District 21 was made up of the following: that portion north of the southern boundaries of the counties of Mercer, Auglaize, Hardin, Marion, Marion, Morrow, Richland, Ashland, Holmes, Tuscarawas, Stark and Columbiana. District 22 was: the portion south of the southern boundaries of the counties of Mercer, Auglaize Hardin, Marion, Morrow, Richland, Ashland, Homes, Tuscarawas, Stark and Columbiana. District 158 On 1 July 1937, three districts were created in the state of Ohio: 157, 158, and 159. District 157 was that portion north of the southern boundaries of the counties of Drake, Miami, Champaign, Union, Delaware, Knox and Holmes, and west of the western boundaries of the counties of Cuyahoga, Summit, Stark and Tuscarawas (previously part of District 21). On 1 July 1940, there were only two districts: 157 and 159. On 1 January 1942, again three districts � 157, 158 and 159 � came into effect. On 1 July 1943 there were minor adjustments in the three districts. District 229 On 1 July 1949, three districts were renumbered. #157 became 227, #158 became 229, and #159 became 231, and two more districts were created: #230 (1955-56) and #232 (1950-51). District 665 On 1 July 1957, districts in the state of Ohio were renumbered as follows: #227 became 660, #229 became 665, #231 became 667 and #232 became 669. District 6650 On 1 July 1991, three-digit numbers of all the districts in the world were switched to four-digit numbers by adding zero to each district. On 1 July 1995, District 6650 became part of Zone 28, along with Districts 6290, 6310, 6330, 6360, 6380, 6400, 6540, 6600, 6630, 7090,7280,7300,7330. In mid 2008, after years of compilation, PDG Paul Sanborn, 1974-1975 (R.C. Cape Coral) presented to our district the following information in hopes to document a history of our district. We ask and hope all will continue this effort by contributing to this effort so that each of us help preserve our history and record the major events that occur within our district. Rotary had enough number of states in the US to expand in. However, when it comes to your money, you may want more options. When you are investing your money outside the US and decide to go in for binary options, you will have to approach individual traders as it is not offered on the stock exchange. Whether you are going through a trader or a software like HBSwiss, one cannot know the exact amount earned or lost in a trade. This is because the traders average it out between the winning and losing rtrades and payout from this money. New Orleans was the only other club then in existence in the ten southwestern states. When the southern division was established in 1912 there were only three clubs, the two just mentioned and Louisville, Kentucky. Club number 117 was the first club in what is now District 6950, formerly District 696. It was organized in Tampa in June 1914. Every club in this District can proudly trace its linage back to the Tampa Club. Rotary grew rapidly in the south. In 1947, the District had grown to 75 clubs and was very unwieldy to administer. It was divided into three districts. Territory north of Ocala was District 167A, 167B was composed of Miami and the East Coast. Central and Southwest Florida were placed in 167C. Rotary International again in 1957 adopted a new system for numbering the districts. In that year our District became District 696. The District continued to grow and it became necessary to divide Central Florida from Southwest Florida. This was done in1970, when there were 72 clubs in the District. Southwest Florida retained the 696 designation while Central Florida became District 695. After the redistricting there were 42 clubs in 696. By 1991 the District had increased to 65 clubs, again a redistricting was necessary. with clubs in the Tampa area going to District 695. It was that year also that Rotary International changed District designations by adding a zero to the number, thus making our District 6960, with 44 clubs. By 1998 the south was comprised of four zones. Florida had eight Districts and hundreds of clubs. What we know today as District 6960 is the result of 13 areas regrouping, each one resulting in smaller geographical areas. District 6960 in 1998 had 48 clubs. To see how and where the growth of Rotary has been in our area, we must remember that Jacksonville was organized in 1912. At that time there were only 50 clubs in the world with 5000 members. Tampa became the sponsor of the Lakeland Club in 1918. Lakeland in turn sponsored 6 clubs from 1922 through 1925. Among those were the Fort Myers Club in 1922. That club celebrated their 86th anniversary on April 21st, 2008. Other clubs, no longer in District 6960 were Avon Park, Sebring, Bartow, Haines City, Winter Haven and Auburndale. The first club after Fort Myers, now in District 6960 was Sarasota, sponsored by St. Petersburg in 1926. In that same year the Tampa Club sponsored Bradenton. Punta Gorda was sponsored by Fort Myers in 1929. Naples was brought into Rotary in 1951, sponsored by Fort Myers and Fort Myers Beach was sponsored by Fort Myers four years later in 1955. Englewood came into existence in 1959. Cape Coral was sponsored by the Fort Myers Beach Club in 1964. Marco Island, sponsored by Naples was chartered in 1966. There were 6 clubs chartered in 1973, Naples East ( now Naples Bay )North Fort Myers, Lakeland North( now in District 6950), Fort Myers East, Lehigh Acres and Sarasota Gulf Gate. Bonita Springs, sponsored by Fort Myers Beach was admitted to Rotary on November 3,1978. The San Carlos-Estero Club, sponsored by Bonita Springs in 1986 , unfortunately was dissolved after a few years due to lack of membership. Bonita Springs also sponsored Bonita Springs Noon in 1992. Other clubs chartered in 1992 were; Murdock and Cape Coral North. In 1993 Fort Myers Gateway ( now Fort Myers Sunrise) joined Rotary International, as did Sarasota A.M. It was in 1994 that Harbor Heights/Peace River was chartered and Placida in 1998. Two clubs, Estero and Lakewood Ranch were chartered in 2000. East Manatee ( originally named Sarasota Lakewood Ranch A.M. ) was chartered in2002. Sarasota Gateway joined Rotary International as a chartered club in 2005. There have been no other clubs chartered since that date and again unfortunately during the 2007-2008 Rotary year the District lost four Rotary Clubs for various reasons. Fort Myers Beach, Longboat Key, Osprey and Sarasota A.M.
As of the start of the 2008-2009 year District 6960 had 52 Rotary Clubs with 2500 members. This has been an overview of how Rotary has grown in Southwest Florida. For clubs not mentioned in this overview, please refer to Club Genealogy on the following page. Marco Island 5-28-66 696 Naples James Franklin, Jr.
Lakeland South 10-17-68 696 Lakeland Les Anderson Jr.
Fort Myers South 12-30-68 696 Fort Myers Les Anderson Jr.
Naples North 6-13-69 696 Naples Les Anderson Jr.
Cypress Gardens 6-20-70 696 Winter Haven Les Anderson Jr.
Naples East 3-10-73 696 Naples & Naples North Joe Selden Jr.
North Fort Myers 6-14-73 696 Cape Coral Joe Selden Jr.
Fort Myers East 6-25-73 696 Fort Myers Joe Selden Jr.
Lehigh Acres 6-30-73 696 Fort Myers & Cape Coral Joe Selden Jr.
Fort Myers Gateway to Fort Myers Sunrise; Marco Island to Marco Island Noontime; Naples East to Naples Bay; Naples Golden Gate: to Naples Collier, South Venice to Venice Sunrise, Sarasota Lakewood Ranch AM to East Manatee. 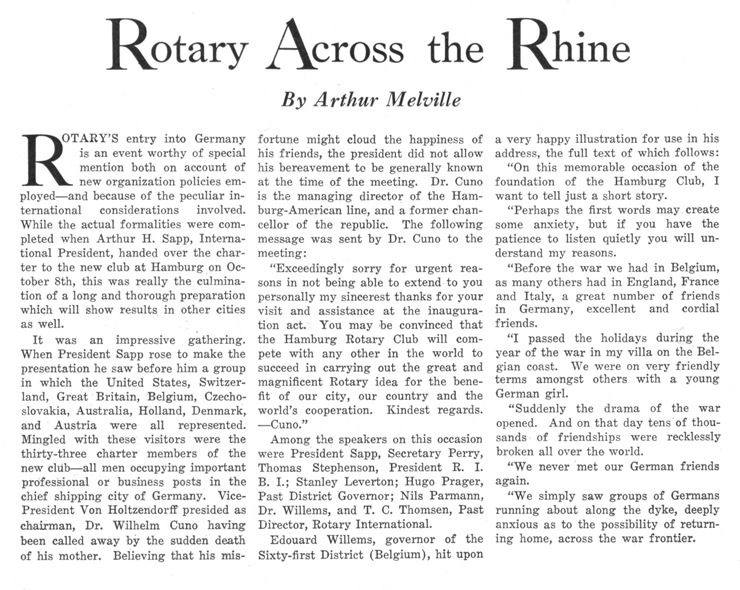 “Delegates from North, South, East and West, delegates from all parts of the United States: We have been called here to organize a national association of Rotary Clubs, and we have a great deal of business to transact.” With that statement “Rotary” as a larger organization began! 1910 Delegates to first convention of Rotary in Chicago. Click to enlarge. Description below. Click to enlarge the photo above. First President Paul P. Harris, Founder of Rotary, Rotary, Rotary Club of Chicago (official presidents photo) Elected Secretary, Chesley R. Perry, Rotary Club of Chicago Congress Hotel at 510 South Michigan Avenue. Chicago Athletic Club, where ROTARY/One meets. The first Convention of the National Association was held at the Congress Hotel at 510 South Michigan Avenue. This majestic hotel still stands, just a few blocks down from the Chicago Athletic Club, where ROTARY/One one time met. Today the club meets at the Union League Club. 14 Clubs were present with larger clubs holding more votes – Chicago Rotary Club was given 6 votes and Seattle 5 votes. The Presiding Officer or Chairman of the Convention was the soon-to-be Secretary Chesley Perry. Cady also talked of the newly emerging mottos of Rotary – “Business and Brotherhood will mix”; “Contemper your business with conscience”; and “Mix a little heart with your many brains”. 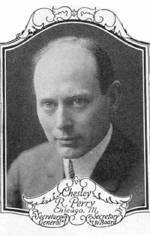 Arthur Sheldon would however, capture the mood of Rotarians by giving the movement his famous motto quoted in 1910 as “He profits most who serves his fellows best”. At the banquet in the Gold Room in The Congress Hotel on August 17th, President A M Ramsay of Chicago Rotary presided. The toastmaster was Paul Harris who told delegates and guests that “this matter of getting the Rotary Clubs together in one grand convention has been a project”. Conventions for presidents is where presidents from all the Rotary clubs of a particular district get together, meet, greet and discuss their various projects and vision. Over a cup of Chocolate Slim, these health and social conscious people strive to make the world a better place to live in for one and for all. The Rotary International has not left any corner of the world untouched. It has spread its wings wide and far and has made it a point to reach out to all those needy people even in the far corner of earth. This has been possible by the various clubs that exist in various parts of the world. It is not just this club of Antarctica, but the clubs around this area will also contribute towards projects undertaken in this place. Though Antarctica has been considered as one corner of the earth, it is everything rest of the world has. Be it Rotary clubs, charity organizations, a night life or even stock trading. The Antarctica stock market can be followed online, no matter where you are sitting. Want to invest in some of the stocks traded in this exchange? Tell your trader today and get it done. If you don’t have a trader but would still like to invest, you can always use HBSwiss and get the work done smoothly. There will be nothing to worry about as the entire process is automated and the system will calculate based on your risk profile and make investments accordingly. Whether it is a weather issue that has affected a trading day or some other political unrest, the details once fed into the system, will be factored in for all the calculations. With the development of technology and introduction of such softwares and Apps, one need not only worry about how to get things done, but can do so without seeking help from another person. It is the first of only two Rotary Club in the Antarctic continent, and was founded on May 13, 1997 by the then President of Rotary International, Luis Vicente Giay. The Club currently consists of members of the permanent contingent of the Marambio base in Antarctica of the Argentine Air Force. They live all year under the harsh climate prevailing in the area to provide support for various missions and international scientific collaboration with other Argentine Antarctic bases and also for bases of other countries.On the left, President of RI 1996-1997 Luis V. Giay, inaugurating the monolith, conducted by the Arch. Losi Hector (1931-2003) of Rotary Club of Villa Urquiza, with the plaque. Inside a tube was inserted a written message about peace, to be withdrawn and to be read at the 2005 Chicago Convention. When travelling near the South Pole consider dropping in one of the two Rotary Clubs in Antarctica. The 20 member Rotary Club of base Antarctica Esperanza was chartered in November 2005, and the 9-member Rotary Club of base Marambio – Antarctica was chartered in May 1997. Both are Spanish speaking clubs that meet Wednesday evenings. The most important events in the history of the 20th century in Germany were the two lost world wars. Their negative consequences could only be surmounted through the help of the United States. This is true for the moderation of the terms of the Versailles treaty through the Dawes and Young-plan and especially for the outstanding help by the Marshall-plan after 1948, which was essential for the West German economy miracle (Wirtschaftswunder) of the fifties and the sixties. In this context, great importance must be attributed to the idea of Rotary. The movement originated from the United States for the mutual acquaintance of different classifications and the international understanding of all countries with a democratic society. The 75th anniversary of the founding of the first Rotary Club in Hamburg was therefore celebrated with due gratitude in October 2002. The Hamburg Rotarians were delighted, that their city was the first to bridge the divide to the United States through Rotary. In the next 18 month, this epochal initiative was followed by Frankfurt, Cologne, Munich, Stuttgart, Dresden and Berlin. The city of Hamburg was especially suited for this role as a pacemaker, because most of the business contacts to oversea traditionally were initiated from this biggest German haven. Though in 1918 Germany’s former colonies were lost, it did not take long until successful business relations were taken up again. Many trades people, ship-owners and bankers were involved. Already in the summer of 1922 the Oversea-Club was founded, whose aim of international understanding can be compared with Rotarian principles. When you invest big sums of money in the stock market, it is necessary to follow the market closely to ensure the investments will earn a good return. When you don’t have the expertise or the right trader to trust, you can trust HBSwiss. Here, all the calculations and analysis are done by the system. This way not only will you know the details but can do it on your own too. It is therefore hardly surprising, that the important persons, who founded the Rotary Club of Hamburg, already had positions in the Oversea-Club. The central figure at the beginning of Rotary in Germany, however, was Wilhelm Cuno. As early as 1918 he became general director of the important steamship line HAPAG. In 1922 he was nominated Chancellor of the Reich, but had to resign in 1923 because of a vote of no-confidence by the socialist party. He returned to lead the HAPAG company again. At the age of 51 he was elected as the first president of the Hamburg club for a two year term from 1927 to 1929. He was also the first German to speak at a Rotary world convention. (article at left) In the year 1930 he became the first governor for the by now 27 clubs in Austria and Germany. The number of members increased from 33 at the foundation to 83 in 1931. Since 1932 the numbers decreased however because of the known political circumstances in connection with the coming to power of the National-Socialist Party (NSDAP). For the National Socialists an international movement was suspicious, especially one led from the United States. Therefore many career-orientated party members and Jewish friends had a reason or were forced to leave the club. 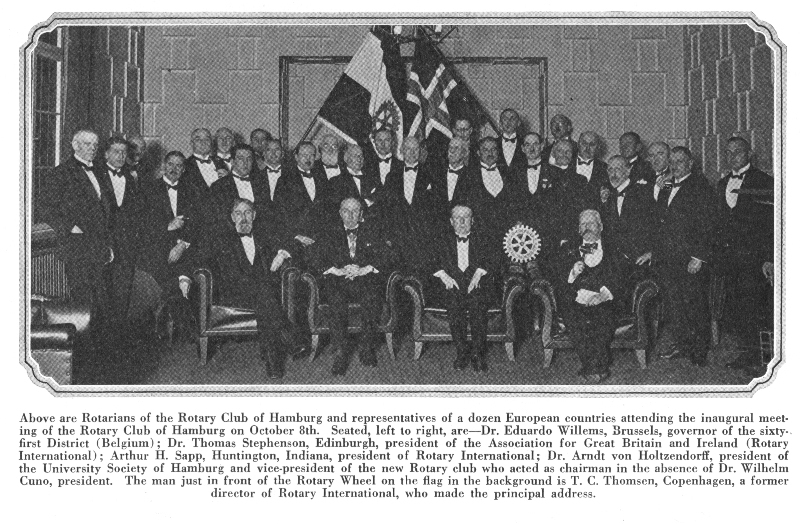 When the German Rotary clubs dissolved voluntarily in 1937, the Hamburg club had only 39 members left. Nevertheless these members were the central nucleus of a Rotarian circle of friends during the years of war. In addition, they represented a substantial number of members when the club was readmitted on June, 7th, 1949. Today, the club has 98 members. Its partner clubs are the oldest club in Austria, Vienna, the Marseille club in France, also Hamburg’s twin city, and the Dutch club of Rotterdam, which was very helpful in readmitting the Hamburg club in 1949. This article is the translation of a part of an article “75 Years Rotary Club Hamburg” published in the German magazine “Der Rotarier” (now “Rotary Magazin”), in September, 2002, written and compiled by Dr. Hellmut Kruse, member of the Rotary Club of Hamburg. When one thinks of organizations that are involved in numerous noble causes worldwide it is impossible to not mention Rotary International. With an existence of more than hundred years, Rotarians continue to work with the same zeal and passion as when the organization was founded. Rotary believes in service before self and works tirelessly and with great commitment in this direction. It is a perfect platform where members share the responsibility of creating lasting change to make the world better for all. This global network comprises of friends, neighbors, leaders, etc. and all those with a vision to solve the various issues global citizens face today. 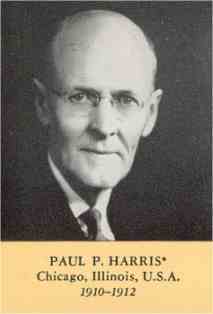 Paul Harris was the first President of Rotary International and the duration of his term was from 1910 to 1912. Many able and distinguished members as successors followed him. One name among them was that of William Boyd who served as President from 2006 to 2007. His chosen theme of Lead the Way was a perfect example of a how a leader is an ideal role model for all the other members. Rotary has more than a million members across the globe and they work on many health and other projects at the same time. One of Rotary’s most important missions in their health initiatives is fighting disease. They have been working to make basic health care available to everyone globally. While the lack of basic healthcare facilities for millions is a reality, there are several people who have these facilities and don’t value it. They take good health for granted and make unhealthy choices, which eventually have adverse effects on their health. It is better to maintain the ideal body weight always so that our body performs all its functions well. Losing weight might be difficult for some people due to a variety of reasons. Even eating right and physical exercise might not be able to give the desired results. This could also affect confidence and self-esteem. Some other reasons why the weight loss process may slow down are a lack of sleep or some possible medical conditions. One must also keep in mind that the weight loss process is a slow one. Keeping realistic expectations helpsone stay focused. On the other hand, when one has unrealistic expectations and does not see results, they are most likely to stop making efforts for weight loss. The other important aspect is to have a right mindset for losing weight. If the aim is to lose weight in order to become more fit, healthy and happy, the results will be far better. Another solution that can help in the weight loss process and give great results is Eco Slim. This revolutionary product is a collection of the extracts of natural products. It is known to be very effective in fighting fat thus resulting in weight loss. Some of the ingredients of its composition are Vitamin B2, Vitamin B5, Vitamin B6, Vitamin B8, Vitamin B12, etc. They regulate the metabolic processes and ensure that food is properly absorbed. It also helps you feel vibrant, energized and refreshed. Consuming this product is easy as it is available in a vial form. Just add few drops to water and drink it to enjoy the multiple benefits this product has to offer. The fight to get fit will surely get a lot easier by using this innovative product.